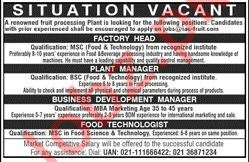 Factory Head, Plant Manager, Business Development Manager and Food Technologist Jobs at Fruit Processing Plant in Karachi. 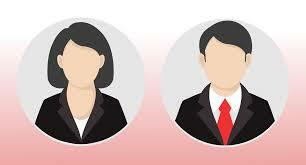 Candidates should be graduate with having experience to apply for the posts. You can apply online at vacancy after registering at http://www.jobz.pk site.